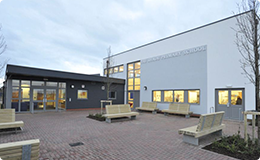 We are delighted to welcome you to The Shade Primary School. Our aim is for all children to master learning skills that bring a love of learning, achievement, confidence and independence, in order for them to be the designers of their future. To achieve this we will work with our partners to learn, develop and improve. The Shade and its community will encourage a caring attitude, take pride in our roots and celebrate our successes. If you should have any further questions please do not hesitate to contact the school office.